The world isn’t all sunshine and rainbows, but far too often the news will give us an overly pessimistic viewpoint about the world (as mentioned in Hans Rosling’s Book, FACTFULNESS). Slow, incremental progress isn’t dramatic enough to make the headlines, and consequently we often miss the evidence that will demonstrate the ways in which the world is improving. This article wrapping up some positive news from 2018 then, is a welcome bit of news that might change how we perceive some aspects of world. Scoop.it Tags: statistics, development, perspective. WordPress Tags: statistics, development, perspective. "Don’t listen to the gloom-sayers. The world has improved by every measure of human flourishing over the past two centuries, and the progress continues, writes Steven Pinker." This is a great article that only reiterates what was said in Hans Rosling’s Book, FACTFULNESS, that the world is getting better. "In this photo, I tried to bring the intense and stacked living conditions that Hong Kong is famous for into perspective for the viewer. With so many people living in small spaces, it’s strange to see all these amenities empty. As a solo traveler, I’m often alone in crowds and this photo resonates with me. I barely scratched the surface of this incredible urban environment, but this image really summarizes my experience here." The winning images have been selected from this year’s edition of the National Geographic Travel Photographer of the Year competition. This image, Alone in the Crowds by Gary Cummins, received honorable mention, in the category, Cities. There are many gorgeous images in here that–oh yeah– are also great teaching images. If you want more, check out this additional gallery. "The three authors of Factfulness explain why they decided to write the book that is now available in 24 languages." I just finished Hans Rosling’s book, Factfulness. It was an absolutely delightful read (who wouldn’t want to imagine hearing Hans Rosling’s voice while relaxing on the beach?). So much of the populace have outdated paradigms about the world and too many have an overly pessimistic worldview that everything is getting worse. This is why FACTFULNESS is so needed day. This term is used to describe a fact-based, data-driven worldview that is not overly dramatic, or fear-based. In so many ways, the world has been consistently getting quantifiable better; this derived from an optimistic perspective, but a factful understanding of the world today. This book is his clarion call to understand the world as it actually is and is the culmination of his professional achievements. Now that he has passed away, it feels like a major part of his lasting legacy. If you’ve ever used his TED talks, Gapminder, the Ignorance Project, or Dollar Street resources, this is a must read. Tags: statistics, models, gapminder, development, perspective, book reviews. What do you do when presented with a new satellite image? Here’s what the Earth Observatory team does to understand the view. Question #3: Also search through NASA’s Earth Observatory (Images or Articles) and the Jefferson Grid Instagram account. Aerial photography can be quite beautiful, as can satellite imagery. These are more than just pretty pictures; interpreting aerial photography and satellite imagery is not easy; here is a great article that gives an introduction on how to interpret satellite imagery. With a little training, satellite images become rich data sources (instead of some visually meaningless data). Using Stratocam, you can explore and tag some of the amazing place on Earth. Tags: mapping, perspective, remote sensing, geospatial, unit 1 Geoprinciples. 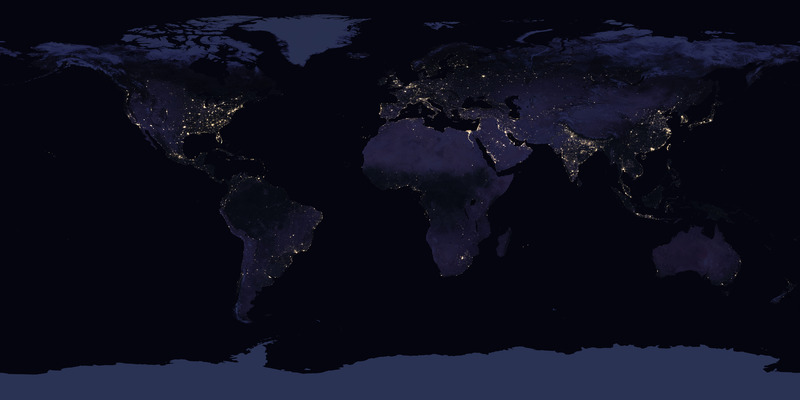 NASA scientists have just released the first new global map of Earth at night since 2012. This nighttime look at our home planet, dubbed the Black Marble, provides researchers with a unique perspective of human activities around the globe. By studying Earth at night, researchers can investigate how cities expand, monitor light intensity to estimate energy use and economic activity, and aid in disaster response. NASA scientists are releasing new global maps of Earth at night, providing the clearest yet composite view of the patterns of human settlement across our planet. You can download the image at a good resolution (8 MB jpg) or at a great resolution (266 MB jpg) to explore at your leisure. Tags: mapping, perspective, images, geospatial. Social studies classrooms throughout the Boston public school system are getting an upgrade some 448 years in the making. Personally, I’m not a fan of this decision, but it’s as if they watched the classic West Wing clip and decided to roll with it. I think that the Peters projection map is better than the Mercator for most educational applications, but it isn’t the “right, best, or true” map projection. Many viral videos comparing the two love to exaggerate and say things like “The maps you use are lying to you” or “the world is nothing like you’ve ever seen.” Yes, Mercator maps distorts relative size, but it isn’t a “wrong” map anymore than the Peters projection. All maps have distortion and map readers need to under that all maps are a mathematical representation of the Earth. Tags: mapping, visualization, map projections, cartography, perspective, education, geography, geography education, Boston. What is the geography of the hijab? Covering one’s head pre-dates Islam in the Middle East but many associate this practice strictly with Islam and only for women. Read this article (with teaching tips and supplemental resources) for more context on this cultural and religious practice.